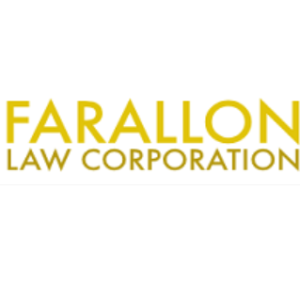 Farallon Law Corporation is a boutique law practice which was founded in 2015 by big firm lawyers to provide legal services to a wide range of clients, including individuals, start-ups, SMEs, non-profit organisations, multinational corporations and financial institutions. Small, low-profile firms like Farallon are popular among individuals and companies that value our niche expertise and independent legal advice. The firm distinguishes itself from its competition by: (a)	providing cost-effective and efficient solutions; (b)	being able to provide timely and effective advice; and (c)	being transparent about possible solutions and options available, with the objective of minimising legal spend. Our mission is to provide the best possible value propositions and winning outcomes for all our clients, regardless of background, nationality or budget. We strive to be completely professional and ethical in our work and we have a responsibility to uphold our reputation both nationally and internationally, for uncompromising standards. What constitutes an illegal public assembly or procession? Sale of Food in Singapore – What do you know?